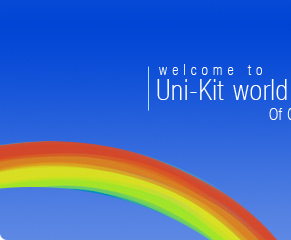 Uni-Kit ™ is a manufacturer and a leading wholesaler of quality inkjet and laser toner refills. Uni-Kit refills all printer inkjet and laser toner cartridges. We offer our Uni-Kit refill products to retailers, distributors and dealers at wholesale prices. Consumers can buy refills and printer cartridge refill products direct from our licensed online merchants. Uni-Kit is a universal leader in true multi-brand ink and toner refills. Our inkjet and laser toner refills contain the highest quality, ultra refined ink and toners on the market, yielding brilliant results on all cartridges such as Canon, Epson, HP, Lexmark and others. Uni-Kit is designed to refill ANY inkjet or laser toner cartridge. Our Uni-Kit products provide the consumer a cost effective alternative to overpriced printer cartridges. Printer users are given the opportunity to effortlessly and cleanly refill their ink or laser toner cartridge in 3 quick, easy steps. Our Uni-Kit inkjet refill kits are made in the USA ensuring that the final product adheres to our strict quality control standards. Unlike other manufacturers, Uni-Kit ink is true multi-brand ink that works in all inkjet printer brands, and stands out among other manufacturers by offering true made in the USA quality.. And unlike other similar products that may make the same claim, our ink is actually designed and manufactured to be cross-compatible with all inkjet brands and is not just a "generic" ink that leading competitors use. Our Durafirm Technology ink is a Uni-Kit exclusive product, and is used in hundreds of professional refill stores around the world as well as by thousands of home and business refillers. 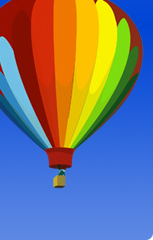 Durafirm Technology inks print as wel l or better than some OEM (original equipment manufacturer) inks, with vibrant and vivid colors, archival photo printing qualities (prints last longer when exposed to UV rays), and more waterproof qualities than most OEM inks. In fact, Durafirm ink is completely waterproof when printed on Durafirm photo paper. Furthermore, Uni-Kit has and continues to pioneer a new era for laser toner printer owners. Gone are the days when you had no option but to buy a new laser toner cartridge (often in excess of $100, or even $200 for some color toner cartridges). With Uni-Kit Toner Refill Kits thousands of customers around the world are discovering the cost-saving benefits of our DIY toner refills. Quick and easy to use, Uni-Kit toner refill kits can refill almost any major laser toner cartridge on the market. And as new models come out from the OEM's, our R&D is constantly working on new refills for cartridges all the time. With over 5,000 different laser printers already supported, we cover most of the market. Whether its a popular black laser toner from HP, or an obscure color toner from Okidata or Minolta QMS, we have most bases covered. And you can always rely on our skilled and dedicated tech support to answer your questions, available by email 24/7. At Uni-Kit, we dont necessarily want to be the biggest refill kit manufacturer in the world, but we want to be the best. Our retail-ready inkjet and toner refill kits are available to wholesale customers for resale, and we also provide bulk inks and toners to remanufacturers around the world. Join our UNI-KIT WORLD OF COLOR by filling out a business opportunity enquiry form and see for yourself the power of Uni-Kit. All Rights Reserved. All brand names and trademarks are the property of their respective copyright holders. Any reference to brand name merchandise such as HP, Epson, Universal Inkjet, Universal Toner, Canon, Xerox, Brother or other trade names is for descriptive purposes only. © 2010 Uni-Kit - An Easy Group Company.